Wireless charging is beginning to look like the future of charging tech, but for now, current offerings are still in their infancy. By and large, devices that support wireless charging have to remain relatively close to a given charging station to receive power. Still, its a start - and many companies have already jumped on the bandwagon. Apple, it seemed, was going to be one of them this year. 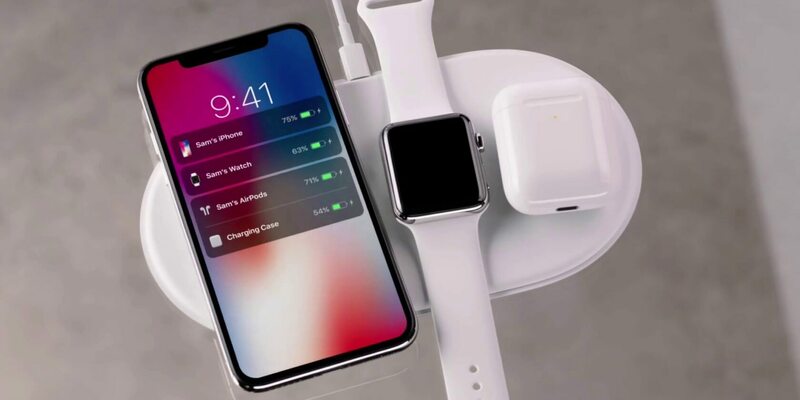 In September of 2017, the company unveiled its "AirPower" wireless charging mat, which would be able to power many other Apple devices (including a new "wireless charging" AirPods case) without a direct connection. The wording of Apple's initial AirPower press release implied that the charging mat would launch in 2018, but it's pretty clear now that the tech giant has missed that launch window. Though we don't know precisely why, past leaks suggest the primary reason for the delay was technical issues, such as the AirPower overheating. Where is AirPower? ‍♂️ All I’ve been hearing is ‘they’ve finally fixed it’, so, if true, it could ship as a product whenever Apple wants. Hopefully alongside the smart battery case for the XS? Fortunately, there's reason to be hopeful moving forward. According to developer Steve Troughton-Smith, Apple may have "finally fixed" the issues it discovered with the AirPower mat. He goes on to speculate that Apple could ship the device "whenever [it] wants." As noted by Mac Rumors, prominent Apple analyst Ming-Chi Kuo stated earlier this year that we'd likely see the AirPower release sometime between Q4 2018 and Q1 2019. Given that the year has just begin, that prediction could still hold water. I'm glad it isn't vaporware. I really wanted this and I still do. Probably did have issues, but, Apple is good at marketing. Hype it a bunch of times then release it "in limited quantities" at a super high price and watch the sheep stand in line. Convenience. Set it and forget it, something that people like to do these days. Wasting more electricity because we are too lazy to plug a cord in. Humanities Laziness in a nutshell. 10ft cable is better. I can lay down while my phone charges and still use it. Seems like its stuck when "wireless" charging.